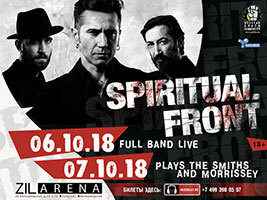 Тема: Концерты SPIRITUAL FRONT (6 и 7 октября в Zil Arena). 06.10.2018 - Full band live. 07.10.2018 - Plays the Smiths and Morrisey.